​Four 90 min. classes covering the basics of dancing with a partner. Excellent preparation for all partner dancing. Start with simply stepping with rhythm, progress to moving with your partner and end with turns, spins and a dip. All the moves you need to go out and have fun on the dance floor.
" You couldn't ask for a better way to enter the dancing world than to take classes with Dale and Peggy. They are unfailingly upbeat and supportive as well as being a mine of information on all aspects of social dance from equipment, through music to dance venues." T.K. We will explore 5 musical genres & 5 styles of dance. Each 60 min. class will follow a similar format. We start with some easy movement to catch the groove of the music, then add some dance moves. Then we put it all together with a few easy Line Dances and end with a Dance Party. No complex choreography, just the sheer joy of moving to great music. OR we will tailor a workshop to your needs. ​4 - 90 min. lessons (over a 2 week period). Check here for our rates. Consider Private Lessons when our workshop schedule does not work with yours, or you prefer learning at your own pace. Private lessons are customized to our clients ability and desired outcome. share the joy of dancing with your friends consider scheduling a Shared Private Lesson. Want something fun, unique and full of energy for your next event? Get the instant energy party starter with custom paced line dances. 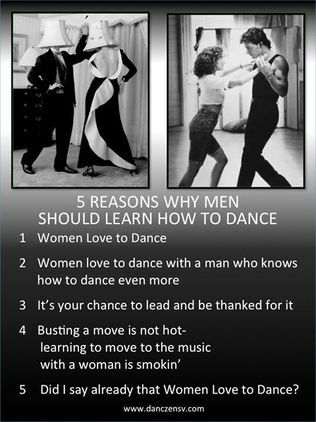 The dances are easy enough for anyone to learn, and fun enough to do all night to a variety of music. We tailor the dances and music to your event, teach the simple footwork, then lead the group into moving together. This is a great way to break the ice, get people off their chairs, and create instant communal fun! Great for Parties, Fundraisers, Weddings, Conferences & Festivals. Easy Dances for all ages and abilities. We offer a variety of dance services for your Sun Valley wedding. Our lessons will give you the confidence to move with grace, be connected to your partner, create a memorable experience and enjoy it. Together we create a dance routine to fit your vision and how you move together, music selection to fit your style. We cover everything from 'the Ask, the Entrance, the Dance, the Dip and the Exit (off the dance floor). No Dance experience required. 3 lessons will suit most couples. ​If time allows consider taking one of our dance workshops before your wedding. You can always follow the workshop up with a private lesson to give your First Dance some polish. ​We teach dancing the natural way, no memorizing steps, no counting - just learning how to move to the music with a partner. If you think you have '2 left feet', that you don't have any rhythm or you just don't know how then our classes are for you. They are easy, fun and effective. Start with the Fundamentals of Partner DancZen, or come to Friday DancZen nights and go from there. I came in with two left feet and left feeling all right. Thanks to Dale and Peggy. Two great instructors, one fun time for every couple! And you learn new steps and new dances. In need of Dance Shoes? Check out our Dance Shoes page with resource links for dance shoes.